Drivers can adjust car seats in three different ways: they can push the entire seat up or back; they can move the bottom of the seat lower or higher; and they can tilt the back of the seat forward or backwards. These adjustments allow the car seat to be adjusted to the specific requirements of the individual driver. At first glance, this adjustment feature does not sound particularly revolutionary. And yet, as Todd Rose explains in his brilliant new book, The End of Average, adjustable seating is a rejection of one of the defining characteristics of our society: the dictatorship of the average. Grade-point averages, standardized tests, performance approval ratings, whether you’re considered overweight or underweight — all sorts of measures are based on the idea that there is an average, and you are measured and judged based on how far you deviate from that average. 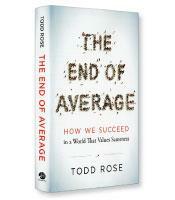 In the opening section of his book, Rose tells the story of how we became the age of average. It all began with a young Belgian social scientist named Adolphe Quetelet (pronounced “Kettle-Lay”), who applied the astronomy method of measuring averages to people, declaring that average represented perfection, while deviations from the average were errors. While “average” no longer denotes perfection, it does denote, writes Rose, “a prototypical representation of a group — a type.” Another social scientist, Englishman Francis Galton, built on Quetelet’s work to develop the concept of ranking (above average becomes a desirable status, not a deviation from perfection). Frederick W. Taylor used averages to develop the concept of standardization for the workplace. Education reformer Edward Thorndike adapted Taylor’s workplace standardization and applied it to the classroom. How did young Gilbert Daniels convince the Air Force to develop cockpits that could be individually sized? He compared the 10 different measurements used in the average cockpit to the measurements of more than 4,000 pilots. The result: Not a single pilot was of average size on all the measures (in spite of Daniels providing a range of sizes for each measure). The average-sized cockpit fit nobody. The bottom line is that averages can help us understand groups of people (French vs. British fighter pilots) but will not help us understand individuals. Daniels offers an alternative to understanding individuals, what he calls the Three Principles of Individualism. The first is the jaggedness principle. Imagine Daniels measuring a pilot against the 10 measures of the average cockpit. He finds that the pilot’s legs are longer than the average, his hands are smaller, his height is shorter and so forth. If the average represents a straight vertical line, the line representing the pilot’s measurement jerks from side (larger than the average) to side (smaller than the average). This is the jaggedness principle: No one stays on the vertical average line across every dimension. And even if you are measuring two people with the “same” average (say an IQ of 103), the jaggedness principle still applies: Each person will zigzag back and forth as their scores on different dimensions differ from each other… and the average. The second principle is the context principle, in which different traits are subject to circumstances. People might be shy among strangers and outgoing among friends. Is it fair to plot a specific “measure” of their shyness — and even worse, compare it to a shyness “average”? 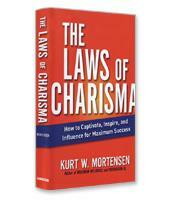 Rose, who leads the Laboratory for the Science of the Individual at Harvard and is co-founder of The Center for Individual Opportunity, has written an engaging, learned exposition on individuality that is often humorous and always illuminating.